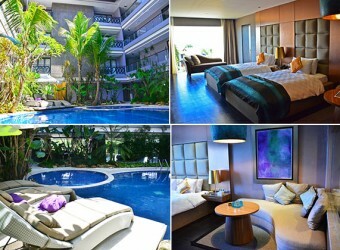 Bali Hotel Amaroossa Suite located in Nusa Dua area where luxury hotel resort gathering. There is nice beach and shopping mall also you can enjoy marine sports while stay there. Amaroossa suite located in Nusa Dua area and their room is all suite room. You can see the stunning view from roof top restaurant.